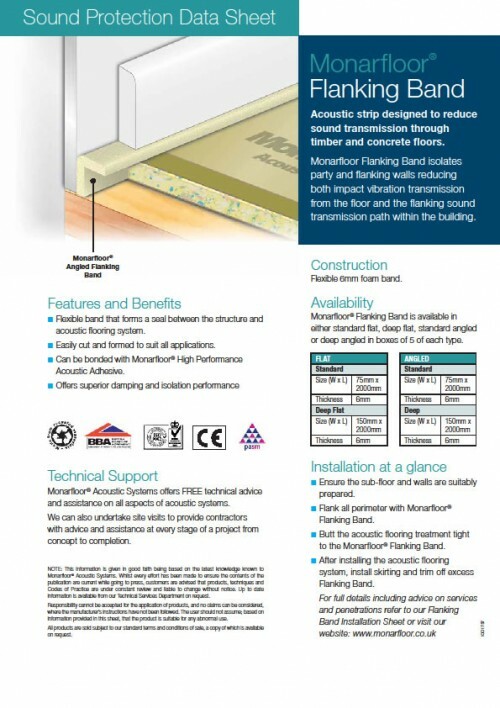 Monarfloor Tri-Deck floating floor system. 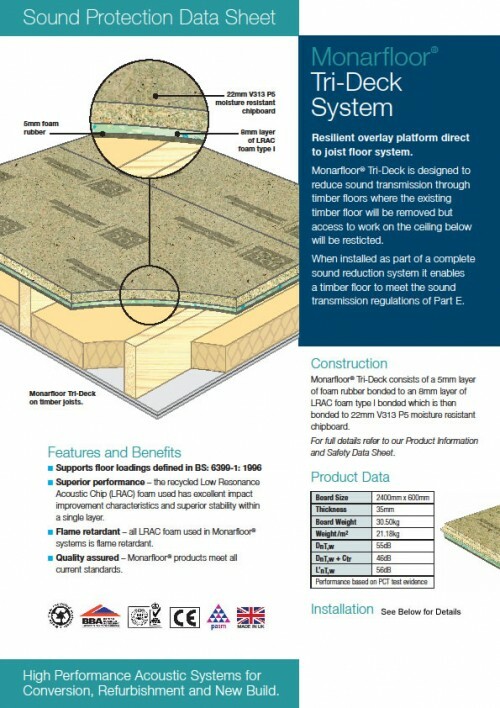 Monarfloor Tri-Deck reduces sound transmission through timber party floors where the existing timber deck will be removed but access to work on the ceilings below is restricted. 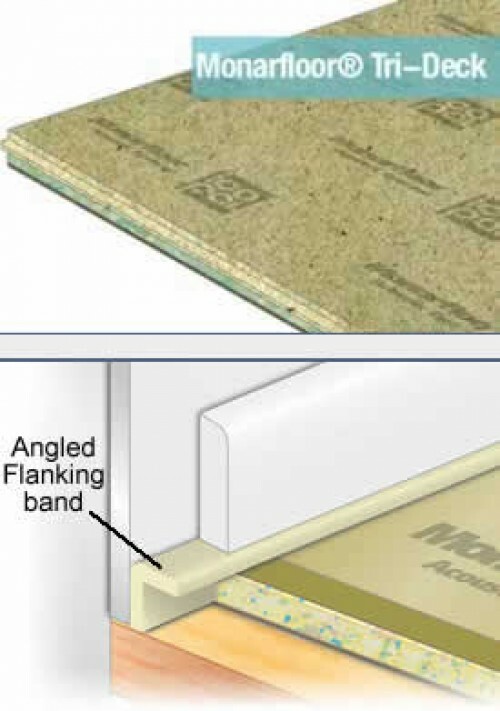 Given enough mass on the ceiling below ( eg lath and plaster) the use of Trideck alone can be enough to achieve regulation E. This is of particular interest if access to the underlying ceiling is restricted or the underlying ceiling has ornate cornicing or coving which is preferred left untouched. 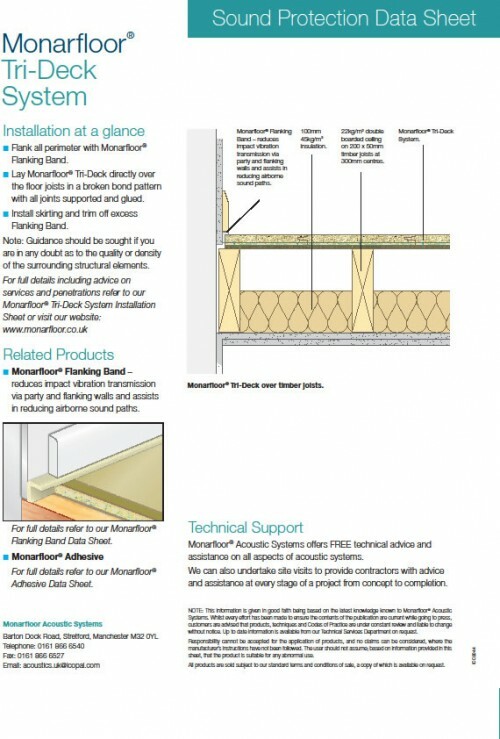 Unlike the other monarfloor decking systems this can be applied direct to joist so reducing the floor height build up. The product is normally used in conjunction with 45 or 60kg/m3 mineral wool. (100mm) between the joists. No need for an acoustic ceiling.